American consumers are looking for healthier alternatives to many everyday food and beverage items. That trend is no different for the alcoholic beverage industry where the rise of healthier cocktails have begun to go mainstream. Superfoods such as turmeric, matcha, kale and beets are just a few of the new wave of ingredients making their way into cocktails around the country. Beverage programs everywhere are responding to the new demand by crafting antioxidant-rich, delicious drinks for health conscious consumers. New cocktails like Kale margaritas and beet-stained Mai Tais have been introduced by innovative and creative bartenders to fill demand. 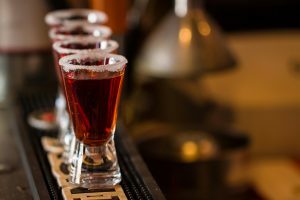 Many of these superfoods have very unique and interesting flavor profiles which are allowing bartenders to experiment and create new cocktails. At your next happy hour, give one a try and enjoy. Cheers to your health!